It is perhaps rather predictable that conspiracy theories would swirl around the official story of just what happened on the morning of September 11, 2001. Whether you believe their claims or not, many who were present make some intriguing points. When combined with the secrecy with which the government has seemingly handled the whole affair (understandably or not), this has fueled allegations that are still burning almost two decades later. Of course, for every argument about the “official version” of 9/11 and the “truth movements,” there are counterarguments. What follows are 10 claims that offer a different version to the official story. As with the controversies over the JFK assassination, these 9/11 claims are largely the reasons that the “truth” of that fateful morning continues to be debated. 10 Could Such Mediocre And Inexperienced Pilots Have Flown Such Powerful Planes? 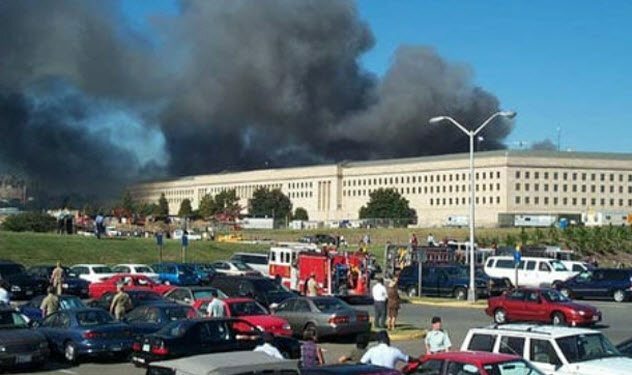 There are considerable questions about the apparent ability of the terrorists to fly the planes that crashed into the Twin Towers and the Pentagon. (We will look at Flight 93, the plane that crashed in Pennsylvania, shortly.) Remember the planes in question were not little Cessna-type aircraft but huge jumbo jets. Again, these claims are largely based on the “professional opinions” of various aviators rather than solid proof. But many believe them to be accurate. For example, various television programs (both conspiracy and investigative productions) have used flight simulators with some of the most professional and experienced pilots on record. These programs had the pilots attempt to fly the courses taken by the planes that morning, especially the crash into the Pentagon by Flight 77. It is largely seen as one that an inexperienced pilot wouldn’t have been able to negotiate and that even the finest pilot would struggle with. 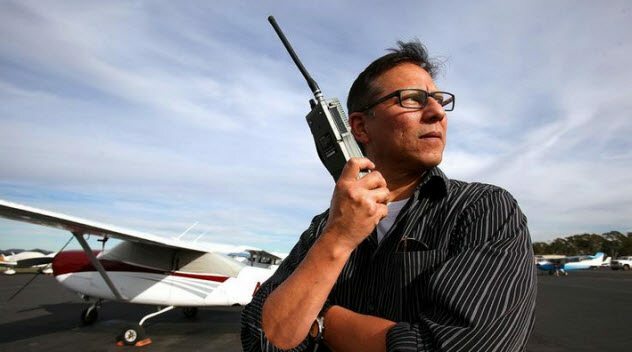 San Diego pilot trainer Rick Garza is just one of many whose paths crossed with the hijackers. Despite only teaching them on small, single-engine planes, he was unable to pass them. In fact, Garza asked them to leave the training because they were completely inept. Incidentally, these two hijackers—Khalid al-Midhar and Nawaf Alhazmi—would go on to be “the muscle” of the unit. 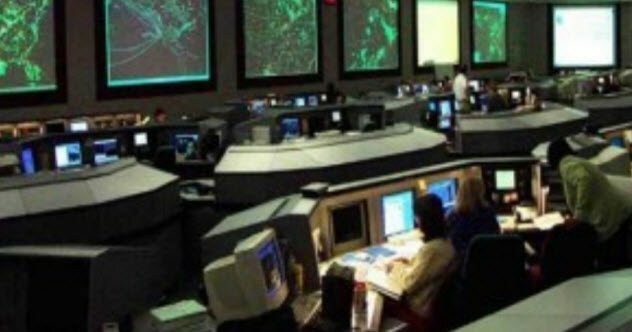 Given that North American Aerospace Defense Command (NORAD) is largely regarded as the most sophisticated air defense system in the world, it is understandable that some people ask why none of the four hijacked planes was intercepted by fighter jets—which were stationed at nearby Andrews Air Force Base. This is a key area for many researchers who assert that the hijackings were allowed to unfold. It is incomprehensible to some that the government would not have scrambled interceptors, particularly as they were aware of “something badly wrong” over 30 minutes before the first plane slammed into the World Trade Center. During the events of 9/11, the other main authority was the Federal Aviation Administration (FAA). Coincidentally or not, it was the first day on the job for one of the key people at the FAA who oversaw the communications. Before he had even removed his jacket, the situation was unfolding. Just by way of comparison and to demonstrate how odd it truly was that no action was taken that morning, these constantly “ready-to-fly” interceptors went out on 129 scramble missions during the year 2000. From September 2000 to June 2001, the interceptors were used 67 times. It is also worth noting that it doesn’t take much at all for jets to be scrambles. If a plane deviates even slightly from its planned course or if contact is lost for only a matter of minutes, the interceptors are deployed. If there is any question as to whether a situation is an emergency, standard practice is to treat it as an emergency. Yet on this day, when the official report into the 9/11 attacks states that the authorities were informed of the situation, they failed to deploy—or at least failed to deploy in time. There are numerous claims that the Twin Towers were brought down by a controlled explosion. Videos and angles appear regularly on social media showing “proof” of these claims. It isn’t a new claim, however. Almost immediately following the collapse of the towers, some people were stating that they heard explosions from inside the buildings. Even some firefighters on the scene made such claims to the media in the aftermath. Of course, it is understandable that there would have been great confusion at the time. There were claims of explosions and bombs elsewhere as well. April Gallop worked at the Pentagon and was inside the building with her young son on 9/11. She has made no secret of her claims that an explosion more akin to a bomb ripped through the building. Minutes after it happened, she says that she walked out of the building in bare feet through a hole supposedly made by the plane. But she saw no plane debris, no bodies, and no luggage. She was so convinced that the official story was a blatant lie that she attempted to take the US government to court (in the case Gallop v. Cheney). Needless to say, she has faced numerous cases of harassment for her “un-American” views. Hani Hanjour, the person who supposedly piloted Flight 77, is claimed by some to have been too incapable a pilot to have crashed the plane so precisely into the Pentagon, especially at the angle necessary to cause such damage. Only weeks before the 9/11 attacks, authorities at a Maryland airfield questioned whether Hanjour really had a pilot’s license when he attempted to rent a small Cessna plane. They insisted that he take a chaperoned test flight. One instructor stated that he simply “could not fly” and refused the rental. For the record, Hanjour officially received his pilot’s license in 1999 in Arizona. In another twist, the phone calls made from Flight 77 only minutes before the crash were supposedly a sham. Instead, some truthers believe that the calls were created with technology that morphs voices. The calls from Barbara Olson, wife of then–US Solicitor General Theodore Olson, are the most publicized when discussing this conspiracy. Ideas as to what really happened to Barbara Olson and the other passengers range from them being given new identities to being callously murdered. Supposedly, the passengers were duped into arriving at the airports so that the government could show pictures of real passengers before scaring the public with fake plane crashes. As crazy as all these theories sound, it is not just “crackpots” who delve into them. Many academics, scientists, ex-soldiers, and intelligence officers rank among those who refuse to believe the official story. Stubblebine spoke publicly about his claims. Although he believed the official story initially, he changed his mind as soon as he looked into the Pentagon attack. Then he began to reveal what he believed to be a cover-up of monumental proportions. According to Stubblebine, all the cameras around the Pentagon were switched off except for one. Authorities released five frames into the public domain which appeared to show the plane hitting the building. Stubblebine alleged that the footage showed a missile but that the pictures were altered slightly by the US government after he made his claim. Was this the bomb that April Gallop claimed to have heard? The often forgotten and overlooked plane during the 9/11 attacks is Flight 93. More crucially, just how did it end up on the ground? The official story is that passengers overpowered the hijackers. In the process, the plane crashed into a field in Pennsylvania. However, rumors sprang up almost immediately that the plane was shot down by US military jets. 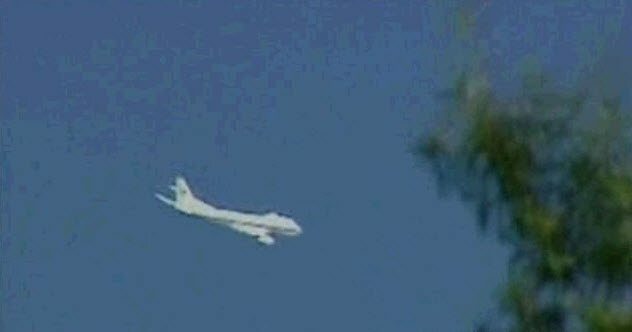 To add more fuel to the account of Flight 93, a mysterious white plane was seen circling over Washington around or just before the Pentagon was hit and considerably after the Twin Towers had been hit. Whether this mystery plane turned its attention to Flight 93 after it vacated the airspace over Washington is not known. We also don’t know where it came from, where it was ultimately heading, or who was aboard. If you spend any amount of regular time on social media, chances are that you have seen a video showing a blue whale rising out of a gymnasium floor (which simultaneously becomes an ocean) before splashing back into the “water.” It sends huge waves and water spraying all around, almost touching those watching from the sides of the gym. Of course, it is done with CGI. While it looks very real, it is an illusion. You may have also seen a similar type of video that shows the footage of the second plane hitting the South Tower. 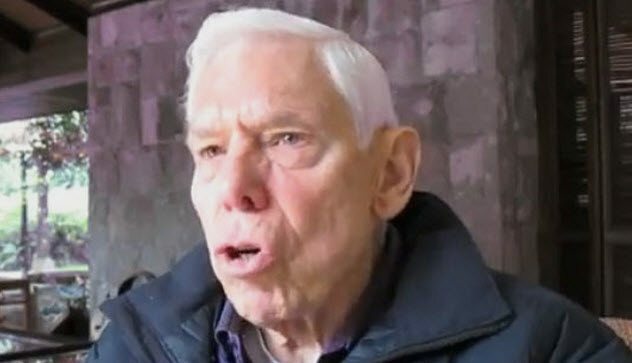 In a claim that is as bizarre as it is fascinating (in terms of the technology that would be required to achieve it), ex-CIA pilot John Lear claims that no planes hit the Twin Towers on 9/11. According to Lear, they were a GCI illusion, timed to “hit” each tower as a preplanned explosion took place. As you might imagine, his claims are generally met with criticism and are usually disregarded without consideration. Like the CGI videos, several memes circulated on social media with a basic statement along the lines of “Jet Fuel Doesn’t Melt Steel Beams.” This refers to the much-rejected notion by some people that the collapse of the Twin Towers was down to the intense heat from the burning jet fuel. Even if this had happened, they claim, it surely would not have happened twice. Even some experts in construction, demolition, and high-level physics believe that the collapse of the Twin Towers (and Building 7 a short while later) was the result of controlled explosions with pre-planted bombs attached to the beams of the buildings. The fact that the command to “pull” (begin a controlled demolition in the field) went out over the airwaves did nothing to dampen such claims. Incidentally, it is argued that the command to “pull” meant that the emergency services should pull back from the buildings. Many reports on conspiracy and 9/11 truth sites state that there was “increased activity” from apparent contractors carrying out unknown work on the lower decks of the building and within the structure itself. While these reports should perhaps be taken with a pinch of salt, the suggestion is that these contractors were planting the explosives in anticipation of bringing down the buildings. Of course, there are counterarguments to all these claims, especially on the beams issue. While it is agreed that the beams would not have melted, they would have weakened enough to compromise the integrity of the building. 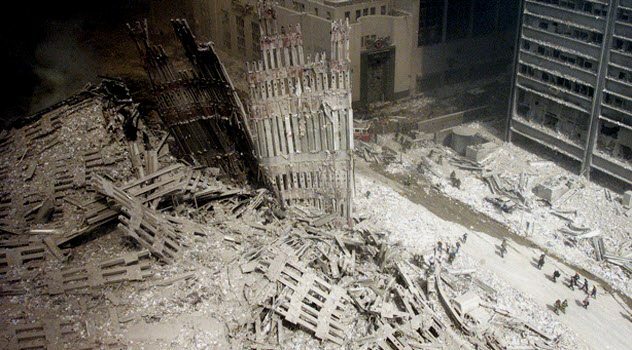 As to the controlled demolition theory, the rubble flying outward is often highlighted as being at odds with a controlled takedown, which usually sees the rubble fall inside the shell of the building. Although they may just be confused details from an emotional situation, the numerous contradictory accounts, different timelines, and conflicting versions of events are seen by many people as proof that the official version of 9/11 is not correct. The apparent discrepancies below are good examples. According to official accounts, President Bush was then informed of the second plane hitting the tower as he was listening to the children read in the classroom. However, there was no live footage of the first plane hitting the North Tower. Only the second collision was broadcast live. By the time the footage of the first collision was found and released to the media, Bush had long left the Florida school. Furthermore, Bush stated that his first action was to speak to Donald Rumsfeld. 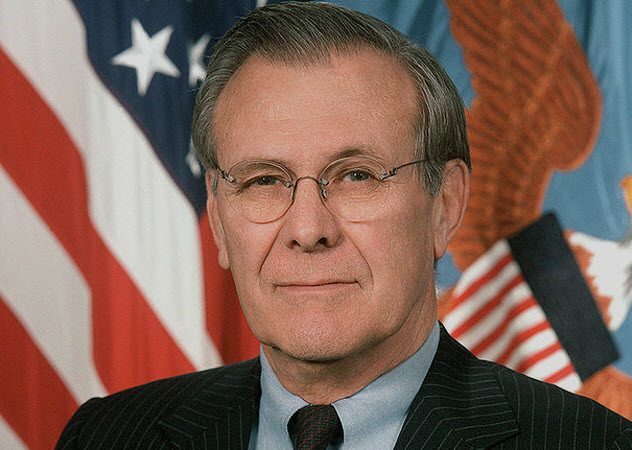 However, Rumsfeld contradicted this during a TV interview when he stated that he first became aware of the situation shortly before the Pentagon was hit. Rumsfeld had been in a meeting when he was interrupted by concerned staff. With such hazy details, it is easy to see where the conspiracies begin. For more disturbing stories and videos about 9/11, check out 10 Disturbing Raw Videos From 9/11 and 10 Events Surrounding September 11.